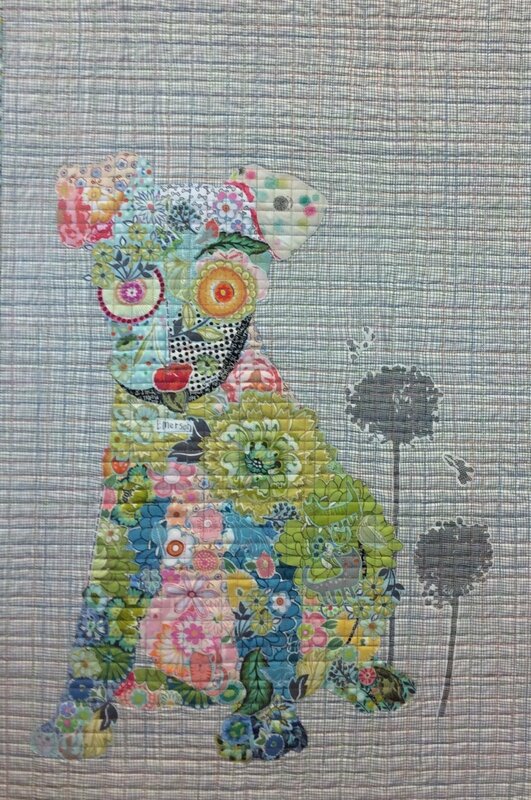 Emerson Puppy Collage Quilt Pattern by Laura Heine is a great beginner collage project! Pattern features color step by step instructions on the collage technique and full sized pattern. Finished quilt size 21 x 35.